Meet Harmon Tison! 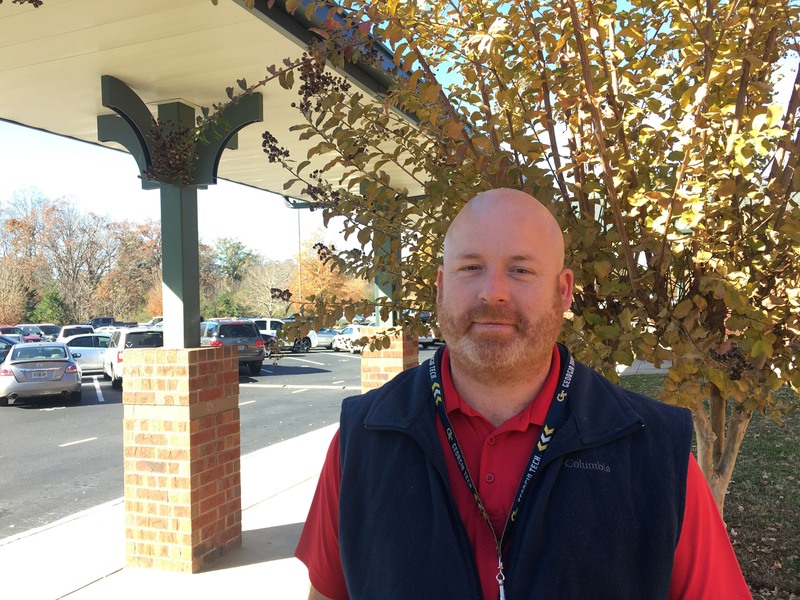 Harmon is an engineering teacher at Flowery Branch High School, as well as one of the TSA (Technical Student Association) advisors for FBHS. He works with students in a pathway class, allowing him to teach them from their freshmen to senior year, as well as going on state and national trips with them for TSA. Harmon attended Georgia Tech Institute of Technology and is originally from Eastman. He is married to Jackie and the couple has two son. When he isn’t teaching, Harmon like to fish, hunt, coach youth sport and home improvement projects. Abernathy Cochran intern Julia Peake sat down with Tison to discuss his time in Hall County as a high school teacher. Q: Who’s the most interesting person you’ve met in Hall County? A: “My neighbor, Coach Robert Sapp, he’s a former UGA baseball coach and also the former coach at Middle Georgia College, and I grew up about 15 miles south from Middle Georgia College, which is in Cochran, and when I was a kid I used to go to this baseball camp that he only hosted at Middle Georgia College. Q: What inspired or led you to your current career? Q: What’s your favorite restaurant in Hall County? Q: What advice would you give to a crowd of people? Q: What are three bands you would like to see, alive or dead? Q: Choosing anyone, past or present, with whom you’d like to have lunch? Q: What are three words that make you think of HOME?